Yes! We ship to anywhere in the world! Email us for more information. All products that are available in stock are being dispatched straight away and it takes 1-5 working days to get the other products manufactured. The shipping times for EU is 4-8 working days and for International orders is 8-15 working days. Payment Options You can pay via PayPal, also do a bank transfer payment and we accept by phone orders Credit Card. What happens if I gave the wrong delivery address? Try to let us know about it or any other possible changes to your order before you receive notification that your order has been shipped. Once the order has been shipped, we cannot change the delivery address. If you wish to modify or cancel your order, get in touch with Customer Care as soon as possible with your order number. As long as your order has not been dispatched we can modify or cancel it and refund your amount. Worldwide! If your country cannot be selected as delivery country on the left top of our site (shipping to), please contact us. We will happily double check if we are able to ship to your country. Our shipping fees are calculated by weight and volume, so by adding any item to the basket, the respective shipping fees are shown. How much does it cost in US dollars ( in your currency )? You can convert your currency here. We reply within a maximum of 36 hours. 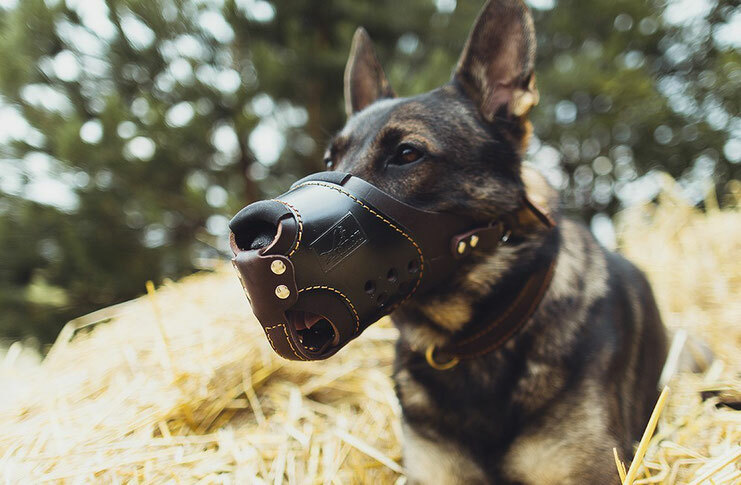 Big selection dog collars and leads, harnesses and muzzles, dog bite equipment and protection K9 Equipment.